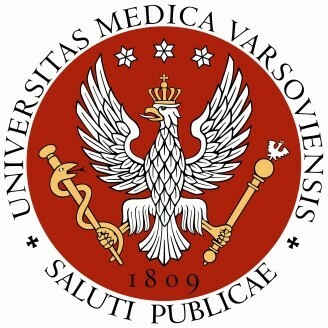 The swimming pool of the Sports and Rehabilitation Centre is a facility of the Medical University of Warsaw. The swimming pool is open daily from Monday to Sunday from 6 am to 10 pm with the exception of holidays, technological breaks and days when sports and recreational events are held. Users may enter the centre no later than 30 minutes before its closing time. Information about any changes in the opening time of the centre is given in advance at the swimming pool cash desk, on the entrance door and on the website. Before entering the swimming pool one must acquaint oneself with the present regulations and comply with them. The lifeguard is responsible for executing the regulations of the swimming pool. Monitoring equipment is installed and operates on the grounds of the centre. Monitoring is done continuously in order to ensure security to the users/guests and their possessions brought to the swimming pool. Everyone staying on the premises of the swimming pool is obliged to immediately inform the right emergency services, the administrator of the swimming pool and the security about the accident or disappearance or other exceptional events which may influence the users' security. It is assumed that prior to purchasing a ticket or a subscription card, every user become acquainted with the regulations and commit him- or herself to observing them. Users of the pool who fail to respect public order or the present regulations may be asked to leave the pool. Access to the swimming pool is granted only to the holders of a valid subscription card or a valid ticket. Children aged up to ten are allowed to stay on the grounds of the swimming pool only under the continuous supervision of adults. The adults are fully responsible for the children under their supervision and any damage done by them. The guardian pays for the swimming pool according to the price list. Access to the swimming pool is permitted only with a transponder, obtained after getting the service. Before using an electronically locked locker one must become acquainted with the user's guide at the booking office (especially as regards locking and opening a locker). Time spent on an emergency unlocking of the locker with an electronic key does not exempt a user from surcharge calculated by the cash desk system. Buying a ticket or a subscription card is equivalent to the acceptance of the regulations of the Sports and Rehabilitation Centre. A user enters the Sports and Rehabilitation Centre swimming pool with a single ticket or a subscription card bought at the swimming pool office according to the price list. Children up to 4 enter the pool free. Children, students, pensioners and the disabled (upon presenting a valid certificate of disability) and their guardians are eligible for a discounted ticket. The fee for using the pool with single tickets is taken in advance for a 60-minute stay in the zone paid according to the current price list. The fee is not returned for a stay under 60 minutes. On leaving, for every exceeded minute in the paid zone, surcharge will be calculated according to the current price list. Payment with subscription cards for using the pool is collected for every minute of a stay in the paid zone according to the price list. Stay time in the pool hall is measured from the moment of crossing the entrance gate until accounting for it at the cash desk and returning the transponder. From the moment of getting a ticket at the cash desk the customer has 10 minutes to activate his or her transponder at the entrance gate. After 10 minutes it is activated automatically, and the time is counted from the moment it is given by the cashier. The validity of a subscription card is counted from its purchase date and depends on its value. The duplicate of the subscription card costs 20 PLN. In case of a Customer's refusal to pay the fee, the Centre attendants are entitled to call the police. A person who lost a transponder is obliged to pay its value (100 PLN) at the cash desk. If the transponder is returned the next day, 50 PLN is deducted from the fine. 12. For losing a cloakroom ticket 15 PLN must be paid at the cash desk. If the ticket is found, the fine is returned on the basis of a receipt. The basis for lodging a complaint is a cash receipt received at the cash desk. Access to the swimming pool is granted to people who have a valid entrance ticket or who are members of a group which purchased stay time at the swimming pool. A warmup swimming pool of 25 metres length, 10.5 metres width, 4 lanes and a depth of 1 to 1.35 metres. Children under 10 are allowed to stay on the premises of the swimming pool and in the water exclusively under the continuous supervision of adults staying nearby and having a valid entrance ticket. Children who can't swim may not be left unsupervised by adults in the swimming pool. A transponder obtained at the cash desk and worn on the wrist like a watch entitles its holder to stay at the premises of the swimming pool. One mustn't enter the swimming pool hall wearing clothes and shoes. At the swimming pool a one- or two-piece bathing suit is necessary for women, and tight swimming trunks for men (half thigh length swimming shorts without pockets are allowed too) and flip-flops. It is advisable for children up to 3 to wear waterproof diaper-pants for protective purposes. Everyone is obliged to have a thorough shower before entering the swimming pool. After using the toilet while staying at the swimming pool hall, one must wash their body with soap before re-entering the water. adjust the plans of one's activity to one's own abilities, general fitness and health condition. immediately inform the lifeguards and personnel about accidents and other events which may influence one's own or others' security. a signal from a sound tube (alarm) – leave the swimming pool and surrounding area immediately. Persons who destroyed the Centre equipment bear full material responsibility for the damage. If it is done by minors, then their guardians are held responsible. If the swimming pool is full, the cashier or the head lifeguard is entitled to restrict access to the swimming pool for safety reasons. People suffering from contagious diseases, with visible dermatological conditions, and dressings or patches on their bodies are forbidden to use the Centre. Only instructors employed by the Centre are allowed to teach swimming. Disabled people who need special assistance are only allowed to stay on the premises of the swimming pool under the supervision of a caretaker in their immediate vicinity. The caretaker is obliged to buy a ticket. The term 'organised group' is defined as a group of people bathing or doing exercises in the water under the supervision and guidance of an instructor, coach, teacher or another entitled person. The term “recreational group” is defined as a group of people using the pool services under the supervision of a guardian. Recreational swimming at the pool may be done only in the presence of lifeguards, apart from reserved dates and unreserved lanes. Activities organised at the pool may be conducted only in the presence of lifeguards or swimming instructors, on lanes and in dates consistent with the timetable of reservation. Activities organised at the pool take place in groups of no more than 15 participants per one activity instructor, according to the timetable. Swimming lessons can only be conducted by a Centre instructor and other physical and legal persons with the consent of the Head of the Centre. Instructors are allowed to enter the pool only in a proper sports suit and pool footwear. The guardian of an organised group is obliged to introduce the participants to the regulations, confirming that with a signature on a statement filed with the cash desk. The group guardian is responsible for the transponders given to the participants of the organised group. Buying a ticket to the pool is equivalent to issuing a statement of no contraindications to using the pool and the equipment therein. The olympic-size 50 meter pool is intended for people who can swim. The lanes set the direction of swimming. Right-side traffic is enforced during swimming. Swimming across the pool is forbidden. Far right and left lanes are intended for families with children and for those who swim poorly. It is recommended to hold swimming classes on the far right and far left lanes, exclusively under the supervision of an instructor. The maximum number of people on one lane cannot exceed 15. If needed, the swimming pool can be divided into parts with a moveable partition. If needed, the swimming pool can be made more shallow (moveable bottom) on its whole width of 25 metres and length of 10 metres. Breathless swimming and exercises without the supervision of a lifeguard are forbidden. The 25 metre pool is intended for sports purposes as a warm-up pool. The warm-up pool can be used for swimming classes. Children unable to swim can stay in the water only under the supervision of adults. It is allowed to use one's own equipment to learn swimming. Breathless swimming and exercises without the consent and assistance of a lifeguard are forbidden. Lifeguards are responsible for the safety of the users of the swimming pool, and in the case of organised classes, sports orrecreational events, also the person responsible for holding them. A Centre employee can supervise all events, and in the case of any irregularities, forbid further use of the facilities. On-duty lifeguards at the swimming pool supervise adherence to the regulations of the swimming pool. All people present at the swimming pool are to follow their instructions. All items of worth are to be held in a safety deposit next to the cash desk. The Centre does not assume any responsibility for items kept outside of the locker or in an unlocked locker. The user, and in the case of a minor the parent or guardian, is responsible for any material damage arising as a result of improper use of the swimming pool facilities. The Centre reserves the right to process the personal data of the users with regard to the image, name and surname, school and club exclusively for promotional purposes. Complaints and suggestions should be sent to the head of the Centre. The Centre does not assume any responsibility for any events resulting from the failure to adhere to these regulations.